10 January 2018 Ashley S. Miller Specialist of Customer Service Dept. 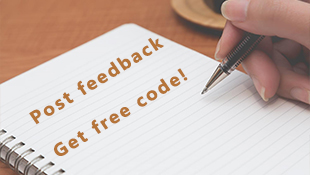 Help you free convert PDF into editable files like Word, Excel, TXT, HTML, EPUB, etc with free professional PDF converter here! 1. Fast, Stable and Easy to use. 2. Support popular editable file format Output. 3. Affordable, everybody can easily Purchase. 4. Provide reliable customer service without delay. Sharing spreadsheets/document over multiple computer systems can be difficult if the computers aren’t equipped with the same version of the software with which it was created. 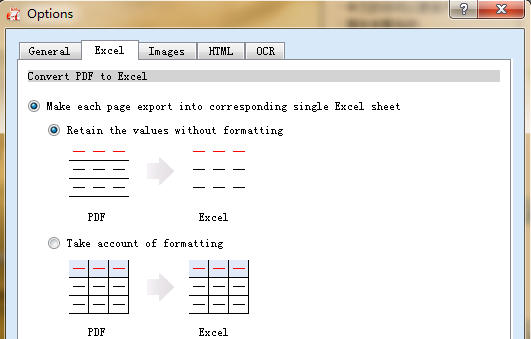 PDF format allows authors to create and distribute fixed-layout documents that appear the same way on all computers and sharing documents becomes easily. Unfortunately, the PDF format is not readily editable, making it difficult to change such documents without specialized software. You can get around this limitation by using Renee PDF aide to convert PDFs to Microsoft Word format and then performing edits directly in Word. 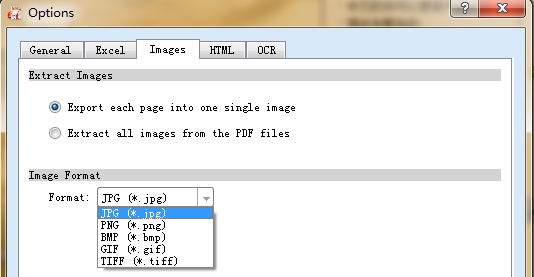 After installing Renee PDF aide on computer, click the Add Files button to upload the files you’re going to convert. 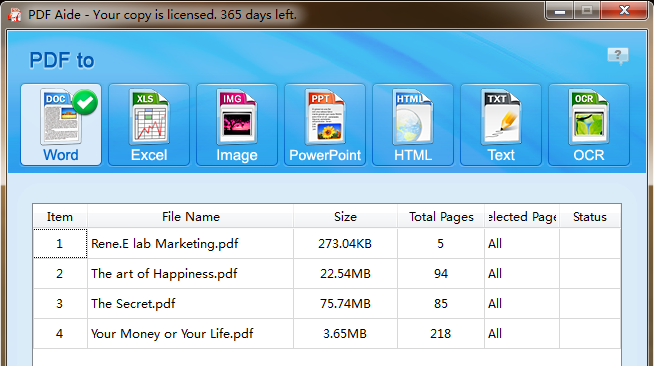 You can upload an array of PDF files at a time. You should select a file format for the output files. Click the format you want above the pane: Word, Excel, Images, PowerPoint, HTML, and Text. If you select image as the output format, by default, the output format is jpg. Or you just click the Option button on Advance Settings button to select BMP(*.bmp), GIF(*.gif), PNG(*.png), TIFF(*.tiff) as the output format. 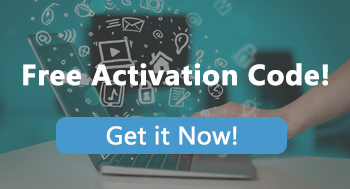 Click the Convert button to begin the PDF conversion. In 1 or 2 minutes, the conversion should be finished. After that, you can click the Open button or the folder icon to see the output files. When the scanned PDF file is in Japanese, Simplified Chinese, Chinese Traditional, Russian, or Korean, you need to Select the correct language, Otherwise, ORC Engine may unable to identify the characters correctly. Unregistered version just Convert 15 Pages each Time [function limited], if you will never pay for the software, you may try to use the ‘TriaPay‘ to get it for FREE. There are websites available that can convert PDF file to Word format for free. Do you believe that they will never steal your information or collect your Email address without sending spam to you? Summary: You get what you paid for! Transfer PDF into editable files like Word, Excel, PPT, EPUB, etc.